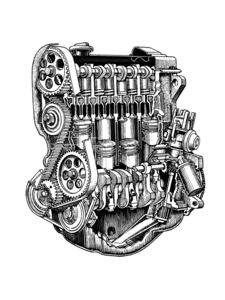 If your VW air cooled engine is starting to knock or your car's overall performance is declining, then now might be the time to repair, rebuild or replace your Volkswagen air-cooled parts. Whether you need a new VW dual port cylinder head for 1972 Beetle, push rod tubes for your Bus, or a gasket and seal kit for your Ghia, we've got you covered. Can't find the air-cooled VW engine parts you're looking for? We have more than 20,000 air-cooled VW engine parts in stock and not all our air-cooled parts are listed online. So call us at (586) 757-2300 with your air cooled engine questions. We'd love to share our thirty years of Volkswagen knowledge and experience with you. We only sell VW parts and we drive them ourselves so we understand what you need and we're here to help you keep your VW on the road.